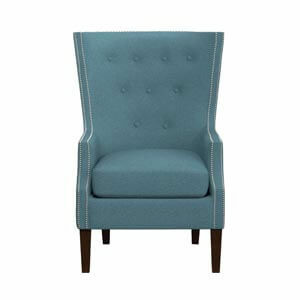 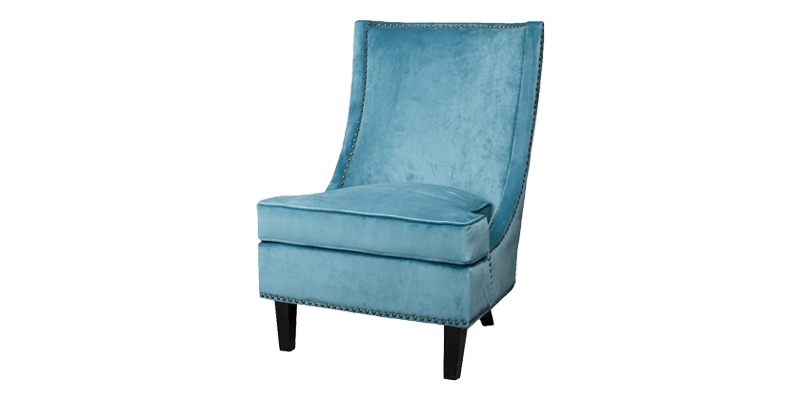 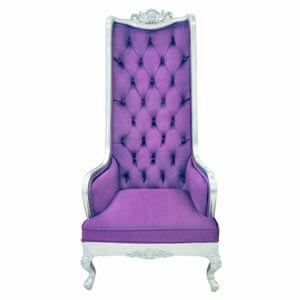 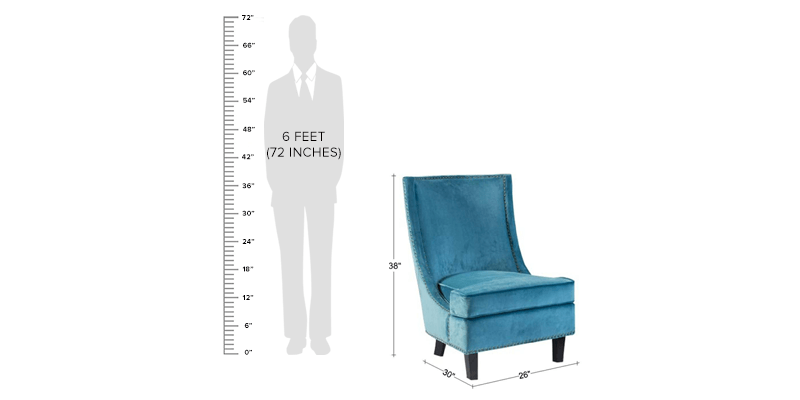 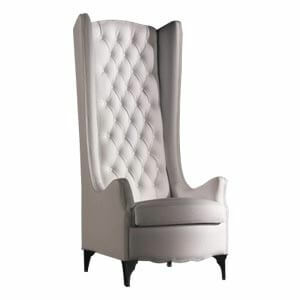 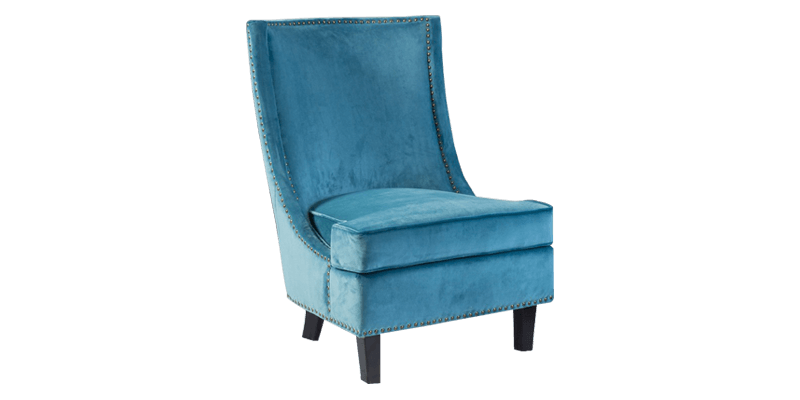 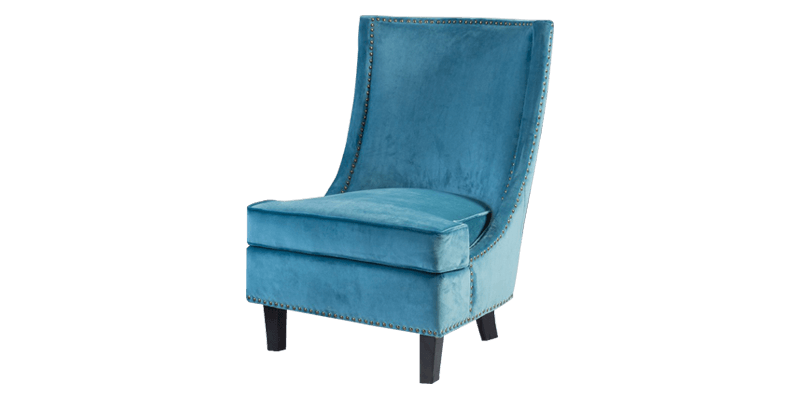 Defining beauty, this enchanting blue wingback chair is one of the most sought after in the collection. 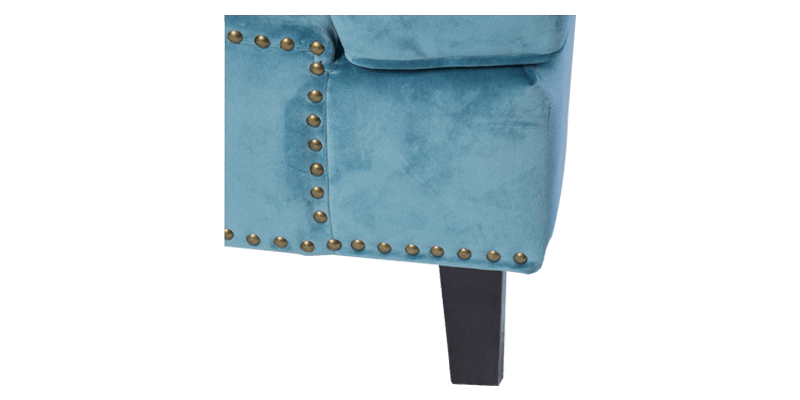 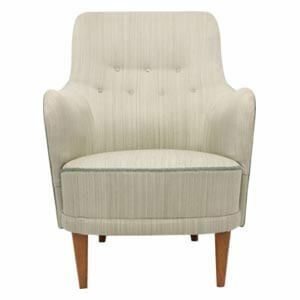 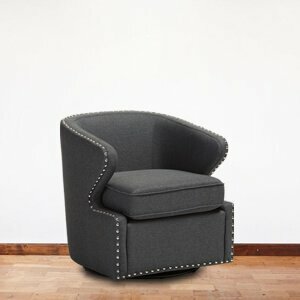 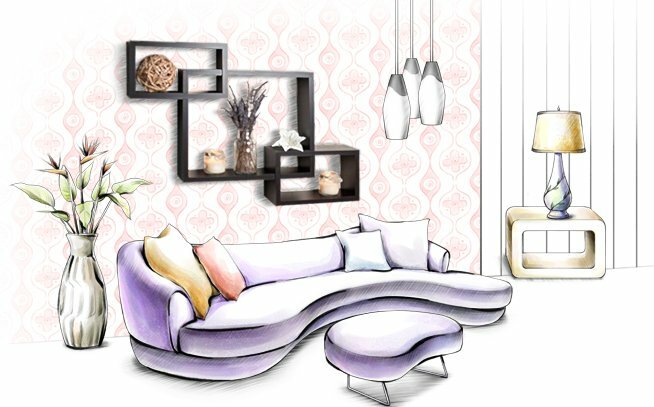 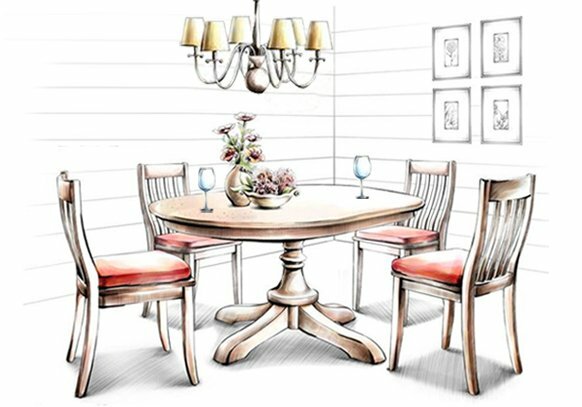 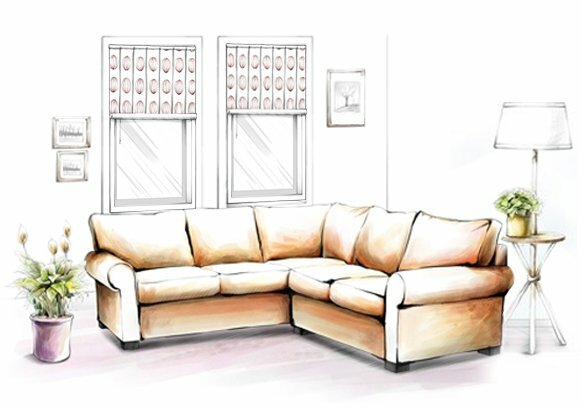 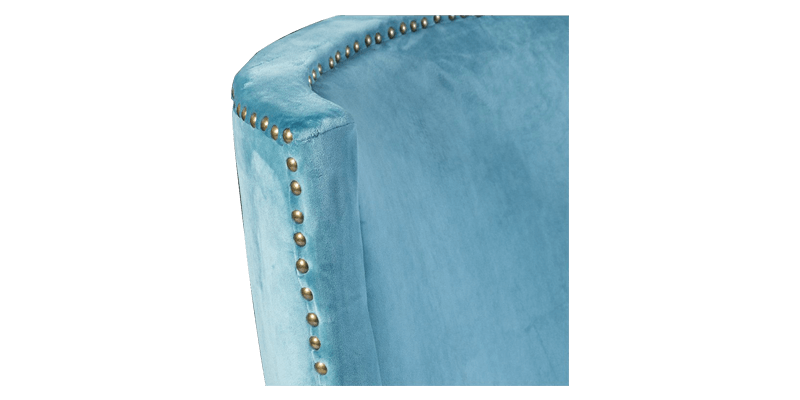 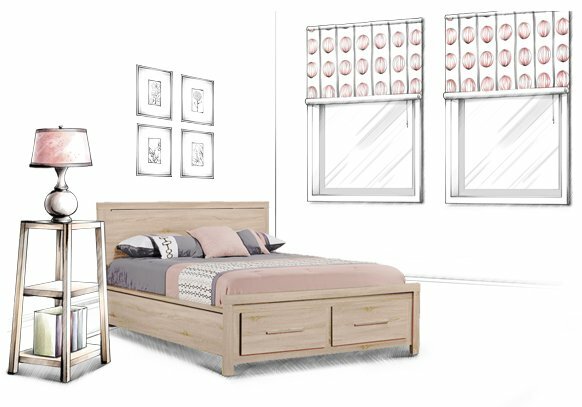 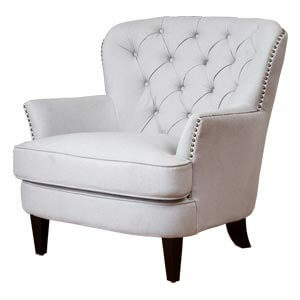 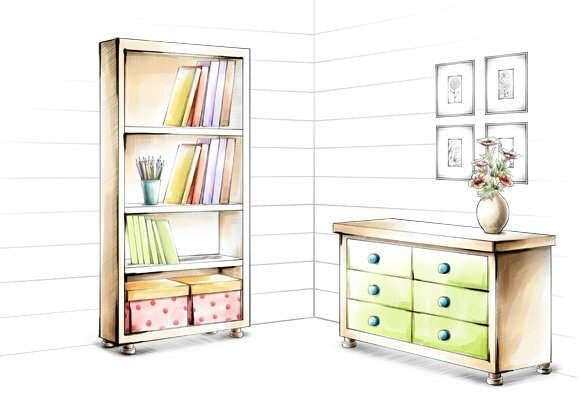 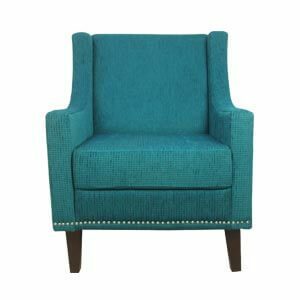 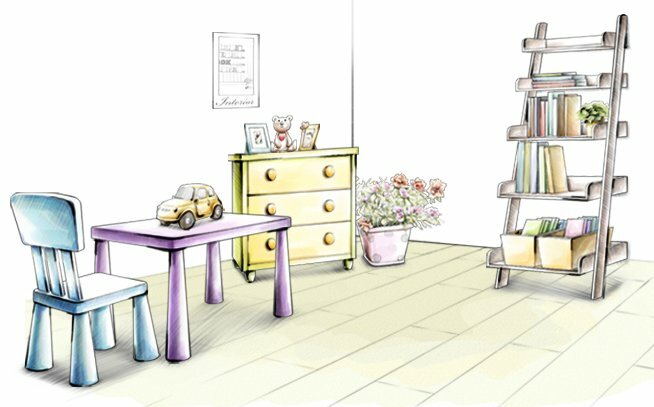 Glamorized with nailhead trims along the edges, its rich texture and fabric makes it stand a class apart. 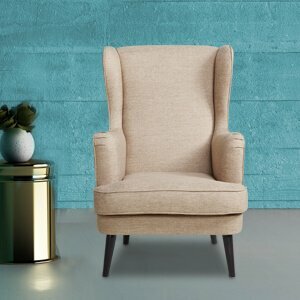 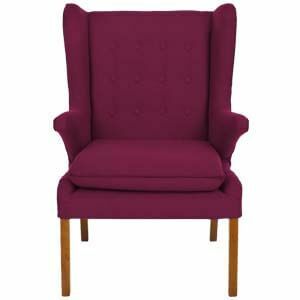 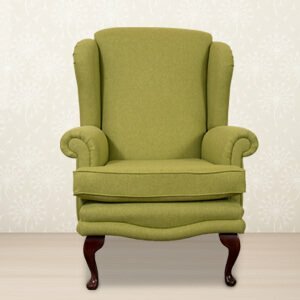 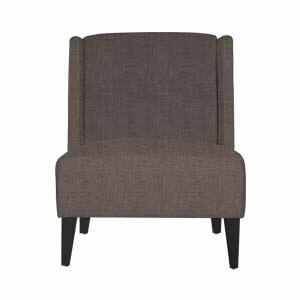 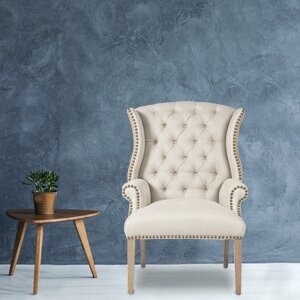 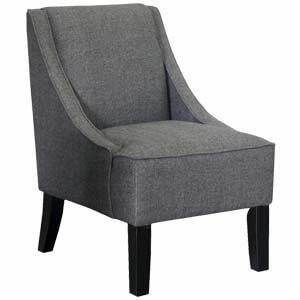 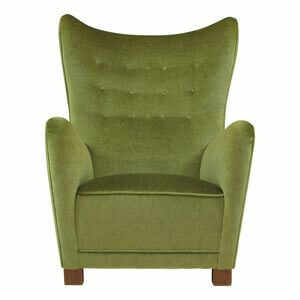 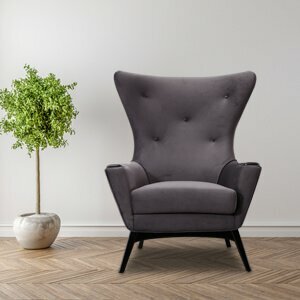 Handcrafted with utmost care and detailing, this classic wingback chair is, made of salwood for strength and durability.